We sure live in interesting and exciting times, especially from an investment perspective. I can’t think of anyone who predicted a 7-8 percent market rally on November 9th, the day after Mr. Trump became President Elect Trump. Regardless of how you feel about President Trump, this is a time to be selfish, at least when it comes to your investment portfolio. Excess exuberance can be as dangerous as outsized pessimism – remind yourself that markets may react emotionally in the short-term but are driven by fundamentals and rational expectations over the long-term. We all know that news headlines are about grabbing attention and increasing viewership, not about full disclosure or facts. None-the-less, news headlines do have an impact on us and the market, as they can create confusion and emotional reactions – think about the recent announcement of the seven nation (Muslim) travel ban… markets reacted negatively, even though there is little evidence of this impacting our economy or corporate earnings. Investors should focus their attention the economic proposals that President Trump has put forth, as well as the probability of them being enacted. The questions to ask are will President Trump be able to pass meaningful tax reform, renegotiate trade deals (including NAFTA), reduce burdensome regulations and how will this impact our economy. Moreover, it is important to recognize that for virtually all of these issues there are pros and cons. A reduction in corporate taxes may improve business conditions and drive additional investment, but it also reduces federal tax revenues thereby potentially creating great deficits and debt. Eliminating some regulations may prove beneficial to domestic businesses but may have a negative impact on exports of goods to countries that have more stringent requirements. News headlines and emotions are sure to drive short-term market sentiment, which can be gut wrenching and appear to last much longer than it actually does. Conversely, over the intermediate and long-term, markets move based on corporate earnings and their outlook, the interest rate environment and the overall health of the economy. Politics will continue to provide us with some tantalizing and outrageous headlines, but economic realities will prove to be the long-term drivers of the market. To that end, ask yourself what your investment time frame is, and how you expect whatever headline is being pushed by publishers right now to impact that timeline and your long-term portfolio. If you are not having these conversations with your advisor I encourage you to contact me for a complimentary investment consultation. 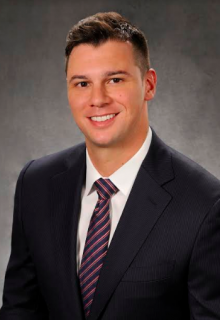 Chris Hanly is an investment consultant with Gary Goldberg Financial Services in Suffern and can be reached at (845) 368-2907 or chris.hanly@garygoldberg.com.